I love that they carry the best products, no matter what I am looking for! They are all really good bud tenders, so the conversation here is enlightened, but they get it done fast too. I think this may be among the best of CO. It's in Silt so people pass it by, going to big towns and big dispensaries, while this one has got all the good stuff - mad good selection, with good peeps. 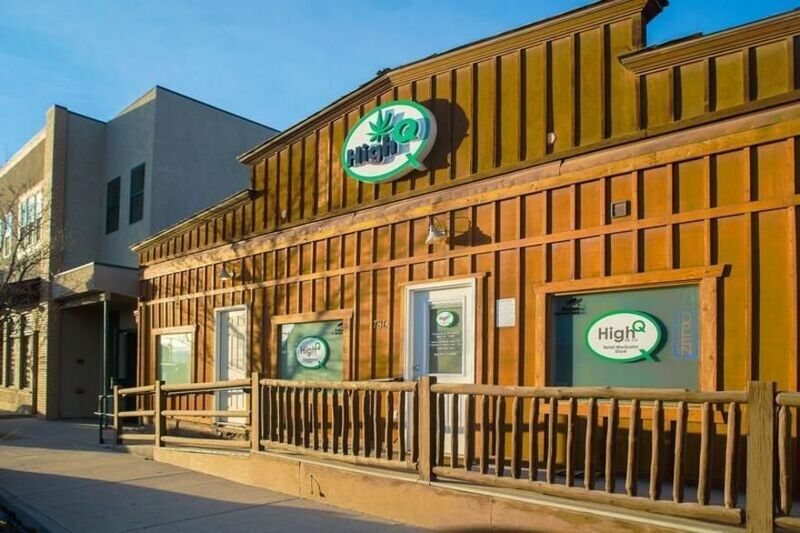 This dispensary has the best products in all of Colorado! It is a one stop shop, you just cannot beat it!! Once again I am blown away by the standards of quality of your merchandise, and even more so by your team of associates. I cannot even begin to tell you how much of a difference you have made in my life. I truly appreciate how you each have taken care of me through the years now. Not only is your store the best of Colorado, but with Reid managing and Geneva and Hugo selling, it is simply a pleasure. Thank you so much for yet another wonderful visit! Im a paraplegic 24 year old and everytime i go in to High Q i always recieve great help from the employee's working there. 1 person i particular is hugo who has always been very respectful and helpful even on questions i have and decide to call the store to get get information about marijuana types and just basic questions. I recomend High Q as Silt's #1 marijuana dispensary. Thank you very much for the review and kind words, we are very fortunate to have Hugo working for us. We are always happy to answer questions for you and we appreciate your business. Thank you for choosing High Q! Geneviev (sorry for misspelling xD) was very helpful. I was looking for something mellow, and a very strong indica. She helped me find both, and even gave me a deal on the price for the more potent stuff! Both my light-weight friend and I were happy with the quality and the selection she helped me make. Also very friendly, and a great selection of organic cannabis products. Thank you so much for the review! We are lucky to have Geneve, glad she helped you find what you were looking for and so glad you were happy with your purchase. Hope to see you again soon. Thank you for your review. We work hard to source the highest quality flower and products for our customers. These guys and gals are always friendly and helpful especially Leah and Lisa! Hate that the parking is always full, but I like they are open till 10. Thank you for your review. We are very fortunate to have Leah and Lisa and all the wonderful budtenders at High Q. Thank you for your review. We hope you will try us again. We recently lowered our prices and implemented a loyalty points program. All of the flower we sell is soil-grown, organically fed, long cured and hand trimmed. We also have popcorn bud for $7 a gram and $99 an ounce. Just found a seed in pre roll of Durban Poison..... Super disappointed go here often. Sorry guys. No more bizz from us. Thank you for your review. We will gladly replace any products that are up to our high standards. Next time, come in and tell us and we'll take care of you.